The Archbishop of Westminster has launched a Lenten appeal focused on food poverty, and is backing a three-year project combining direct food relief, advocacy and building resilience. 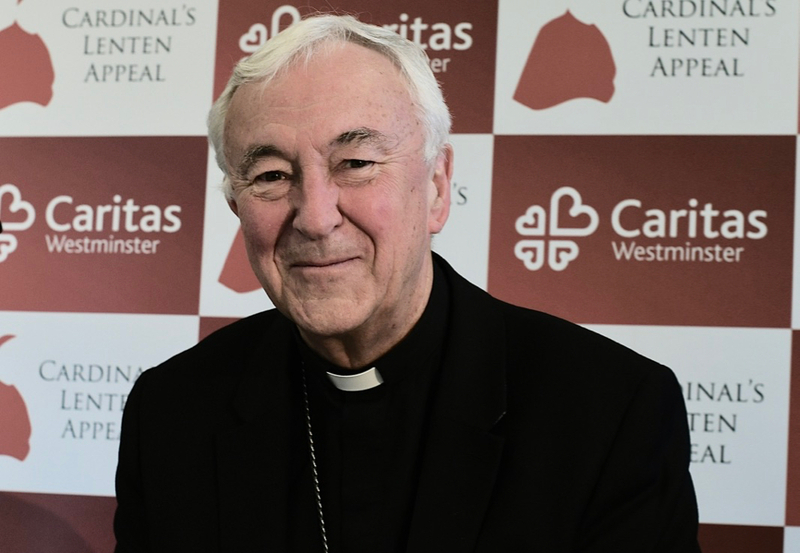 Visiting Borehamwood foodbank at St Teresa’s in Hertfordshire, Cardinal Vincent Nichols said that Caritas Westminster with the support of his Lenten appeal will work with communities and organisations to address the “reality” of food poverty. Of about 230 parishes within the Westminster diocese, 24 are directly supporting a foodbank. A further 56 parishes are helping other foodbanks. More than one in 10 pupils outside the private education system is eligible for free school meals. Since opening its doors five years ago, Borehamwood foodbank has helped more than 10,700 households. Three of the four electoral wards in Borehamwood are classed as having “significant deprivation” , and one ward is among the most deprived in the UK. The supermarket chain Tesco is a big contributor to the foodbank, permitting regular collection drives, and the parish also has permission to do a monthly collection at Kings Cross station. The foodbank is among more than 400 supported by the Trussell Trust, opens twice a week, has a part-time employee and volunteers from other churches and faiths, such as the local Jewish community. Parish priest Fr Dominic McKenna said a major issue in the success of the foodbank was that clients are treated with respect, and are helped to feel they are among friends. “Then, we suddenly found that, not only was the food needed, but some people started asking for food that didn’t need to be cooked. Why? No fuel. No electricity. No gas.” So they started a fuel poverty programme as well. Cardinal Vincent Nichols launches his Lent appeal at Borehamwood. Cardinal Nichols said the foodbank was faith, love and hope in action. “The action strengthens that faith and hope.” He said he hoped the whole diocese will learn from the work being done at Borehamwood. “Who wants to say, ‘I can’t provide my children with something to eat.’ Nobody wants to say that. Therefore a lot of it is hidden.” He cited statistics obtained via Caritas that show that in London alone, there are 2.3 million people suffering from food poverty. 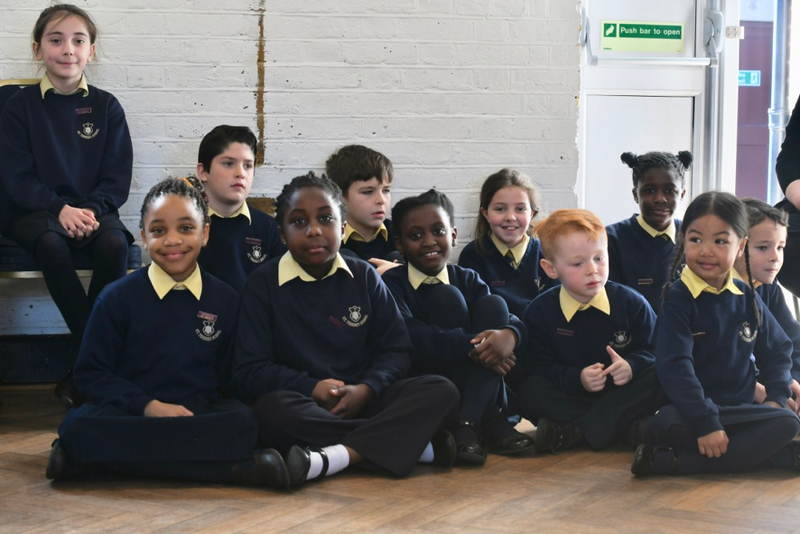 Children from St Teresa's Borehamwood at the launch of the Cardinal's 2019 Lent appeal. The Lenten appeal is takes place across the Westminster diocese in all parishes during Lent. The fund provides financial support for of projects in three areas: marriage and family life, deepening the faith of young people, and increasing social outreach. This year specifically, the Cardinal is using it as the vehicle to cast a spotlight on the problem of food poverty. To provide direct relief to alleviate food poverty and insecurity and to provide sufficient food to vulnerable families to alleviate hunger. To enable food security and resilience by signposting individuals and families to forms of assistance that they are entitled to and provide them with skills to make the most of the resources they have so they are able to prepare nutritious meals with as little waste as possible. Education and advocacy around the problems of food poverty and food insecurity to work on eradicating the causes that contribute to food poverty and food insecurity. Donate to the cardinal's Lenten appeal here.